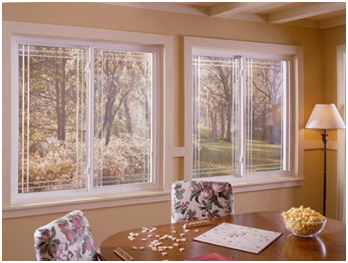 Create an airy, light filled space in your home using replacement slider windows. The clean lines give this affordable and energy efficient window a contemporary feel. Vinyl sliding windows are easy to operate and provide a wide-open spacious view. For maintenance and ease, sashes lift-out so they can be removed from inside your home for safe and easy cleaning. 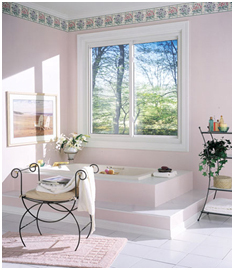 Window locks are mounted flush in the center of the double-hung window where the top and bottom “sashes” meet. They provide an extra measure of security and beautiful styling. Anti-Lift blocks prevent the sash from being lifted out from the exterior of your home, adding safety to value.